The horses in the first race come out on parade. After a week of anticipation, it is finally race time in Singapore! 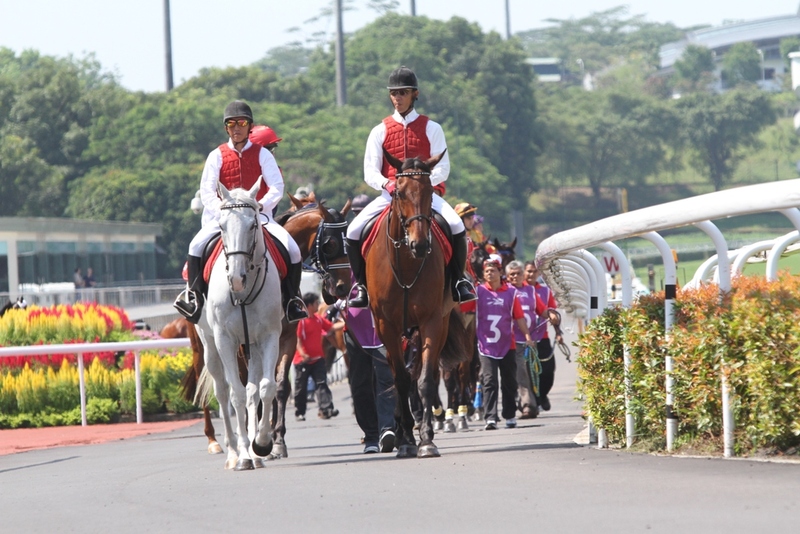 In a very humid 33 degrees Celsius, the field in the first came out on on parade shortly before 3pm. 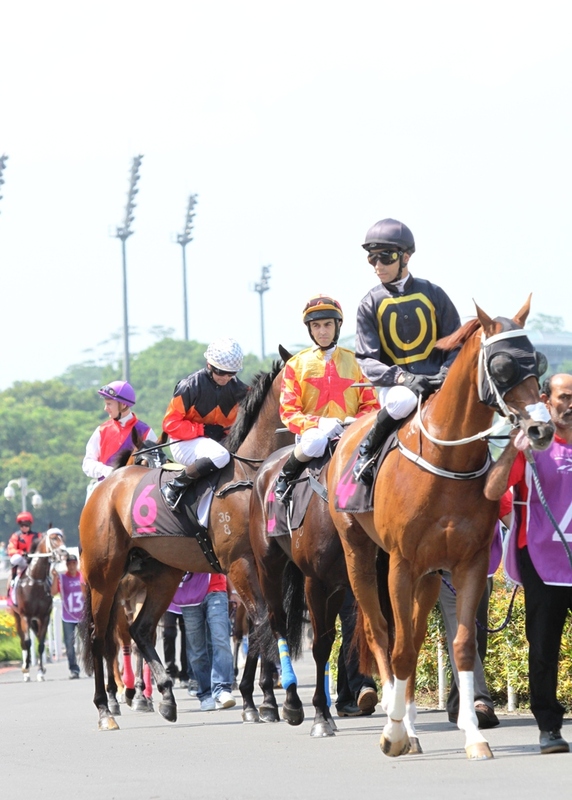 The two international Group 1's, the Krisflyer International Sprint and the Sinagpore International Airlines Cup is race 9 and 10 on the 11 race card, promising a long but exciting day of racing. Spyder, winner of the first, ridden by Joao Moreira and trained by South African born Pat Shaw, out on parade.